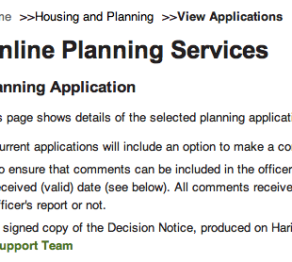 Another planning application is threatening local green space previously dubbed by the council as “Ecological Valuable”. The plans relate to the scrub land next to the crossing of the Gospel Oak-Barking and mainline railways, sandwiched between Plevna Crescent and Ermine Road on the one side and Wickes on the other. “Developers are again trying to build over the green space where the Barking-Gospel Oak lie crosses the Seven Sisters line at Plevna Crescent and Ermine Road. “We – Tottenham & Wood Green Friends of the Earth – have previously helped defeat two applications to build on this site, and we have submitted an objection along with others to this latest application. This entry was posted in Campaigns and tagged Environment, FoE, Green spaces, Planning on January 7, 2014 by admin.